Great Lake Survival Blog: Lighten Your Load . . . .
Lighten Your Load . . . .
Now, in the context of those two articles . . . . 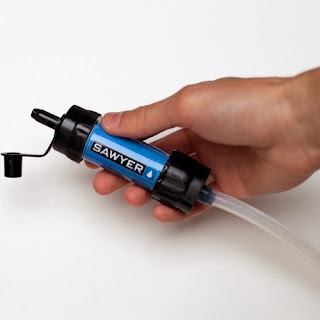 The Sawyer MINIFilter: Fits in the palm of the hand small. Filters out all sorts of things that make you have the “runs” such as ecoli, bacteria, protozoa, cysts, giardia, etc, etc. (those are the ones that can make you really really sick). The filter is good for 100,000 gallons of water (and comes with a back-flushing kit). Which if you use 2 gallons of filtered water a day . . . would last you for over 130 years. Over 65 years if you and another person are using it. It only weighs a few ounces. *If viruses are a concern, you might consider adding a small bottle and household bleach and eye dropper to your pack. Read the previous post on waterborne viruses to understand what they are and what they are not. 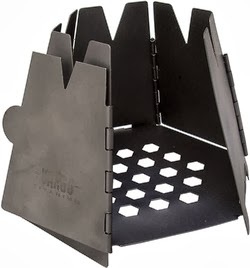 The Vargo TitaniumHexagon Pack Stove: Again, it only weighs a few ounces. The stove is very efficient, blocks the wind, and folds up into a very thin space. The ability to build a small contained but efficient fire could be a key survival ingredient you need. This especially is the case if you do not want to broadcast to anyone in the area your presence with huge beach fire flames. The GLSC Team packs this Vargo stove wherever we go in the wild. Wiggy's Sleeping Bags: Pound for pound, Wiggy's Lamilite filled sleeping bags and garments, wick water the best, and provide the best insulation when the temps go down, than any other product on the market. "ask us how we know". 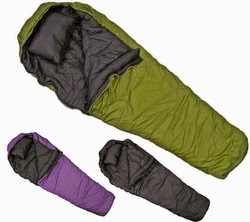 Wiggy's 5 lb sleeping bag offers cold weather insulating qualities that beat a bag with twice the weight. *The fact that these relatively light weight bags have saved lives, when guys in the field have broke through a frozen lake without any available rescue crew to bring them back is a testament to the value of the product. 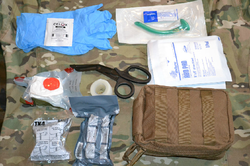 GLSC Level 1 Wilderness First Aid Kit: Big enough to handle your wilderness first aid emergencies but light weight enough to carry all day and not know it's there. 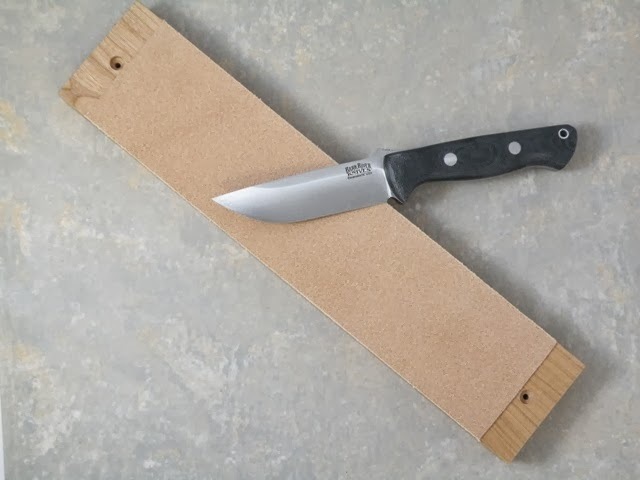 Knife Sharpening Supplies: Need to keep your knife sharp? Try a leather hone with hone compound instead of a heavy stone. Made for GLSC here in Michigan, we carry these to touch up our knives in the field. This will save at least a pound in your pack. Welcome to the Great Lake Survival Blog. This is a collection of writings by the survival enthusiasts of GLSC and friends. 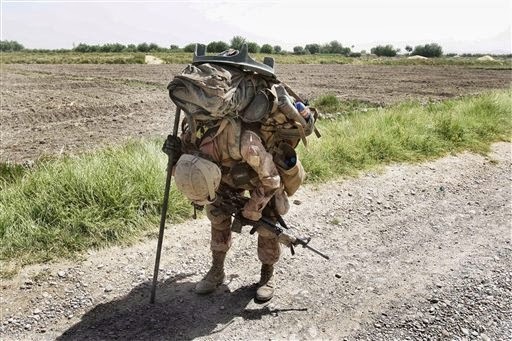 We are dedicated to producing blog entries based on experience, solid doctrine and thought provocation. Read, make constructive comments, and enjoy. Copyright content 2012 Great Lake Survival, LLC. All rights reserved. Picture Window theme. Powered by Blogger.